Successfully Added Door Peephole Camera IR + Door Sensors - 1/4 Inch CMOS Door Camera, 3 x P.I.R Motion Detectors, 3 x Wireless Door Sensor to your Shopping Cart. Digital Door Peephole Camera brings extra security to your home by letting you identify all guests before opening the door. 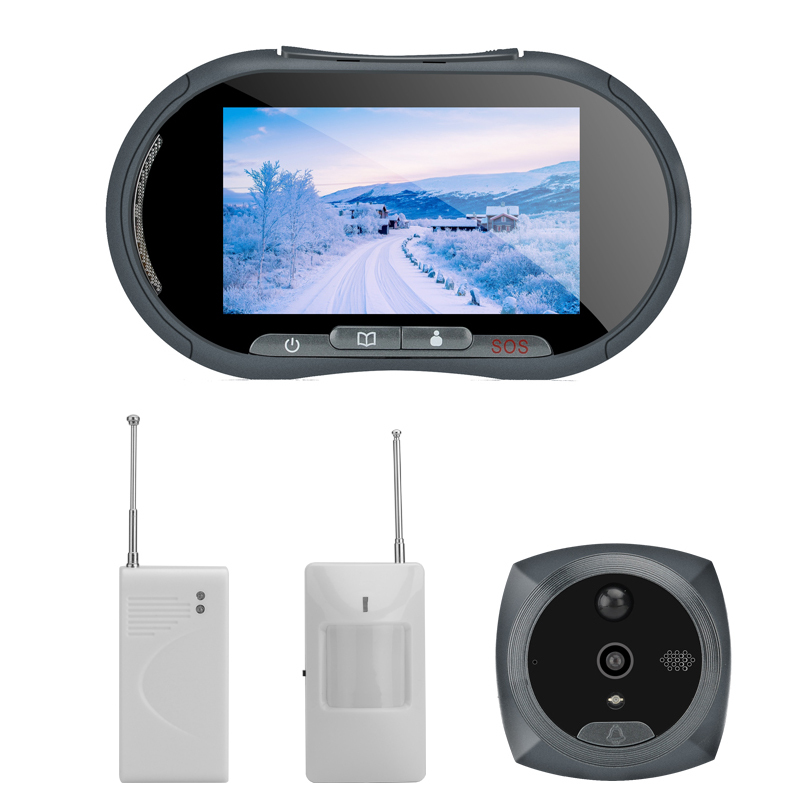 A digital peephole camera is your first line of defense and with a 4.3 inch screen brings a clear view of anyone paying you a visit. The ability to take pictures or record video lets you document all who enter and provides a picture log of guests. With a ¼ inch CMOS sensor and IR night vision you will get a clear view of any guest no matter what time the call by and you won’t need to open the door. This smart home security system includes 3 IR motion detectors and each one of them has a range of 5 to 12 meters letting you securely monitor large areas around your property such as gardens, lobbies and entryways. These will detect any intruders and alert you to their presence brining a high level of security to any home or office. If you need to set up secure zones at work or want to limit access to certain areas then the door sensors is the perfect way to go about this. These smart door and window sensors bring a highly reliable, convenient and cost effective solution to securing your property with minimal fuss, they don't need any cables so are quick and simple to install. These sensors ensure that should you have any unannounced guest you will quickly be alerted to their presence by an audible alarm. With 3 tiers of security this kit door peephole camera kit, PIR motion detection sensors and access point alarm set brings a high level of security to any home or office at an affordable price. It comes with a 12 month guarantee and is brought to you by the leader in electronic devices as well as wholesale security systems..